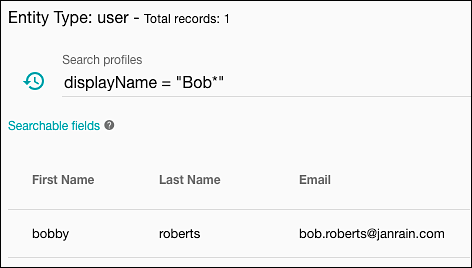 As you can see, the new filter (which the Console automatically constructed for you), exactly matches the query you typed into the Search profiles field: the Search profiles field displays the query displayName = “Bob*“ and the Guided Search pane shows the exact same thing. 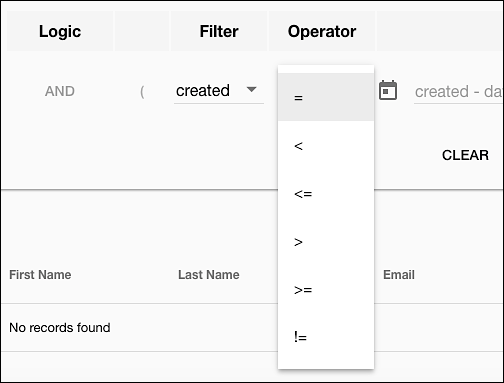 To make a long story short, if you type a query in the Search profiles field, a new filter is automatically created for you. 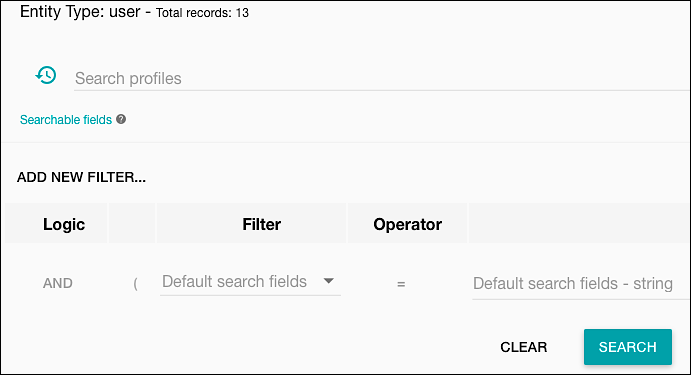 If you create a filter using Guided Search, a new search query is automatically added to the Search profiles field. 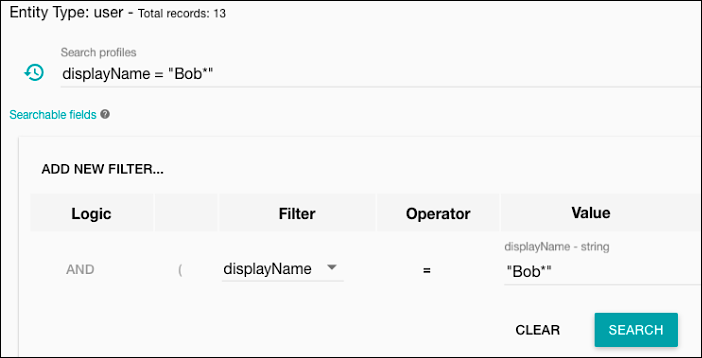 The two are inseparable: you cannot have a search query without Guided Search creating a corresponding filter, and you cannot use Guided Search to create a filter without having a corresponding search query show up in the Search profiles field. Of course, that leads to an obvious question: if searches and filters are pretty much the same thing, then why have both of them? Why not have just searches or just filters? Does it matter whether you use manuscript or cursive? No, it doesn’t: either way, Bob knows that he’s supposed to call you when he’s finished. All that really matters is whether you’re more comfortable writing in manuscript or more comfortable writing in cursive. Likewise, when it comes to searching for user profiles, are you more comfortable writing queries yourself, or would you prefer to have the Console help you write those queries. If it’s the latter, then you’ll want to read more about the Console’s new Guided Search feature.